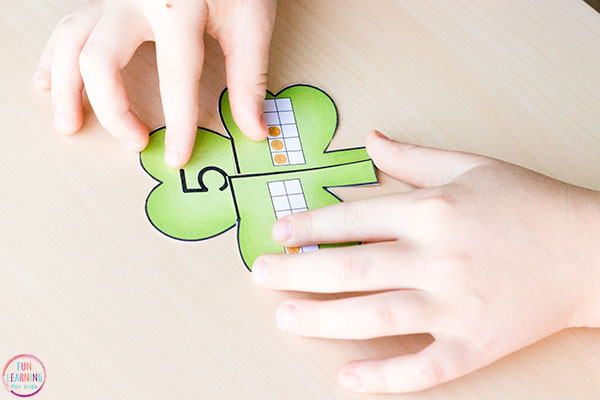 Make math fun with these printable shamrock number bond puzzles! 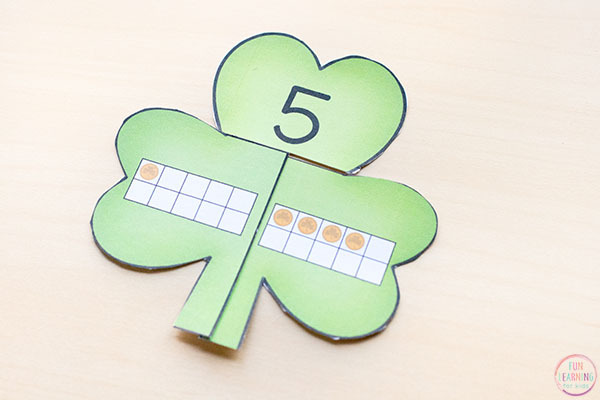 Use this math activity in your St. Patrick’s Day math centers, for morning work or in small groups. 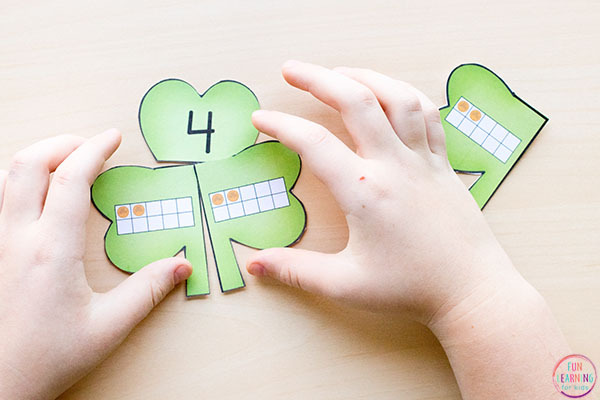 This fun shamrock addition activity is a fun, hands-on way to learn number bonds in kindergarten and first grade. 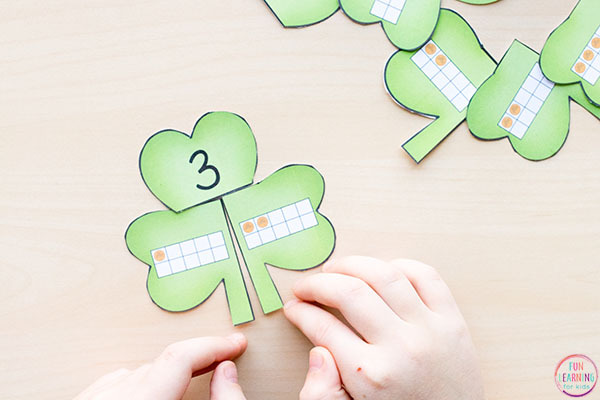 I am doing lots of review with my first grader this spring and I like to make it fun with hands-on activities and fun games. 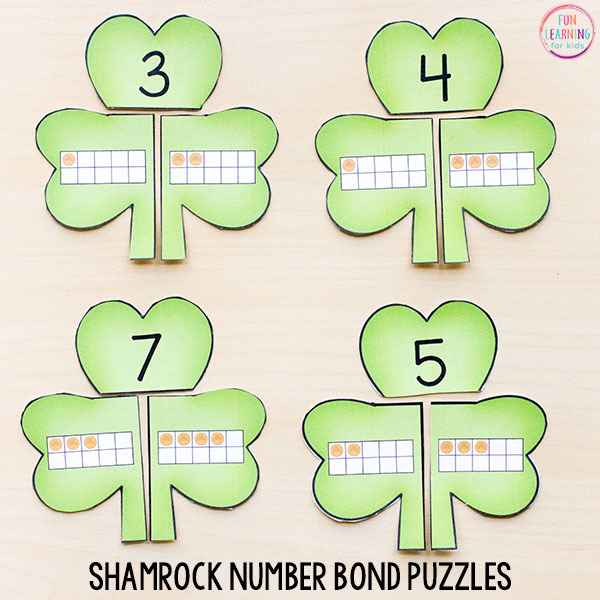 Puzzles like these shamrock number bond puzzles engage him and make the review far more enjoyable. 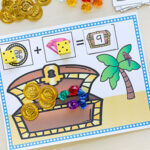 Number bond puzzles are a great way for kids to practice adding within 10. 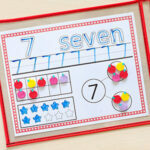 Add them to your math centers, use them for morning work or even in small groups with kids who need extra support. 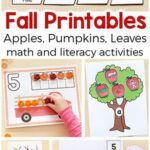 They are super simple to prep and can be used year after year! You don’t need any extra supplies. Just print, cut and laminate! I cut the pieces out, mixed them up and laid them out on the table. Then I invited my son to put the puzzles together. He did this by picking a number piece first and then trying to find two number bonds that add up to that number. He repeated this over and over again with each puzzle. If you want to make these self-correcting you can write a number (very small) on the back of the two ten frame pieces that matches the top number they belong to. This is something I plan to do so he can check his answers. Another option is to put each puzzle together and take a pic of groups of them and the kids can use the pictures as an answer key. I hope your kids enjoy them this St. Patrick’s Day! 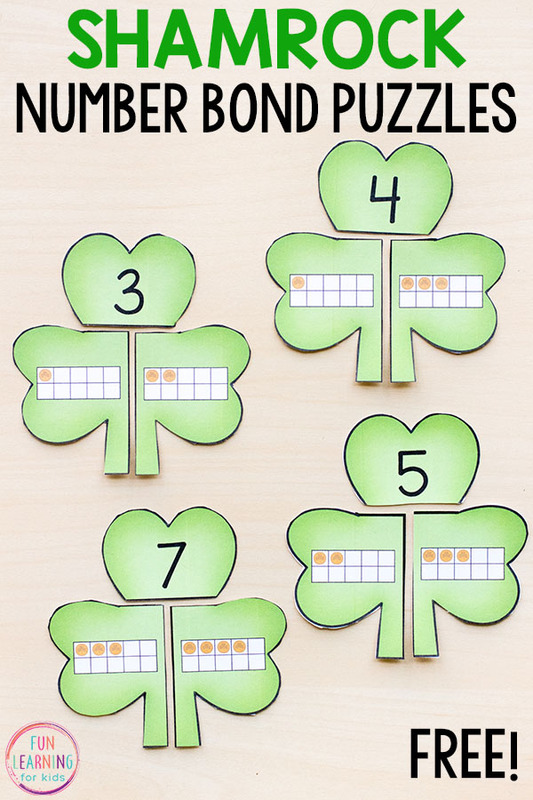 And check out this cool Shamrock Roll and Cover Alphabet Activity. Your kids will love it!